If you are buying a property you need to have peace of mind that you are making the right decision. Unfortunately, some new homeowners or commercial property owners make their purchase only to discover later that it contains asbestos, which will require significant financial cost for the remedial work. At Crucial Environmental, we offer a management survey to assist the home buyer and pre-purchase of a property to help you make a completely informed decision. Asbestos surveys can be difficult to understand to the un-trained eye and we have developed this service specifically for property buyers and sellers to ensure that any materials can be clearly identified. Please contact us today for more information or to book a management survey for your property. Isn’t a standard Home Buyer Survey enough? The majority of standard home surveys will note common asbestos materials used in the building industry but no advice will be given regarding the condition or likely costs involved with dealing with such materials, since it is normally outside their scope of their work. Our surveys provide insight and analysis of the current condition of any asbestos found on your property. They include full testing in United Kingdom Accreditation Service (UKAS) accredited laboratories, as well as a comprehensive report, simply laid out with written in language free from jargon. 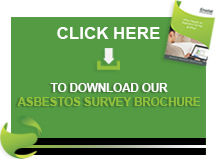 What does an Asbestos Survey for a Home Buyer include? Interested in having an asbestos survey carried out? The team at Crucial Environmental would be delighted to help. Please get in contact with our expert team today calling 01903 297818 for our Southern office, or 01623 711080 for our Midlands office. Alternatively, you can use our contact form or email info@crucial-enviro.co.uk and we will get back to you as soon as possible.